Your Oceanfront Resort Vacation Destination. Your Vacation Memories All Begin Here . . . Ocean Pointe ~ A private, gated resort located in the heart of the Upper Keys. Property features include a heated Olympic sized swimming pool, private sandy beach, private cocktail lounge, cafe, oceanfront marina with boat ramp and dockage, lighted tennis courts and oceanfront gazebo, - all situated on 69 lush tropical acres. This designer decorated condo features two bedrooms, and two full baths. The master suite has an elegant king sized 4 poster bed and private master bath with walk-in shower. The guest bedroom has two twin beds and shares access with the hallway bath, which has a tub/shower combination. The living room is tastefully decorated in tropical themes and offers endless open-water views. The kitchen is open to the living room, and has eat-at counter seating for 4 people. 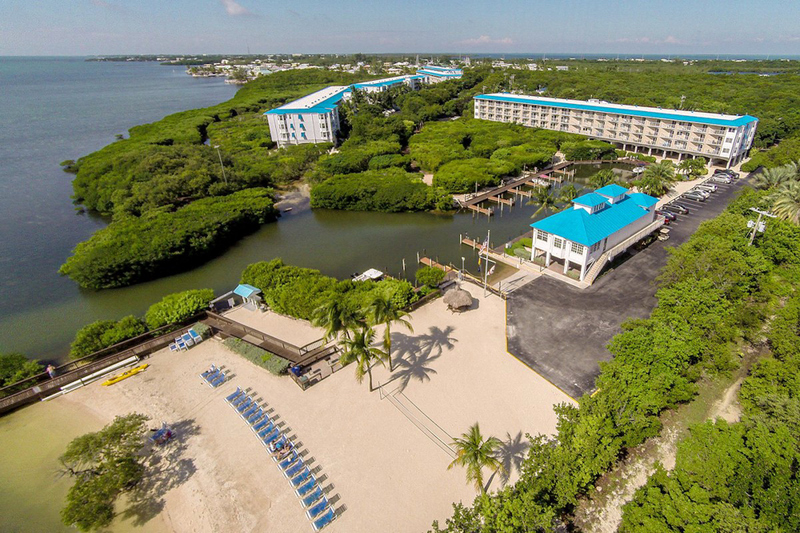 Centrally located, this condo resort is close to all the the Upper Keys has to offer including dining, shopping, watersports, and so much more. The location is approximately two hours from famed Key West and approximately one and a half hours from Miami International Airport. 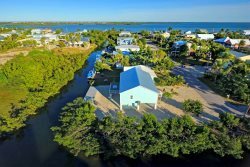 The Florida Keys are calling you! Early check-in and/or late check out may be available for an additional fee. Check with your agent. Dockage is available for an additional fee and MUST be secured before booking the vacation rental. Call your agent for dockage fee schedule and additional marina rules and regulations. Cancelation Policy: Under certain conditions such as severe weather, fire or other hazardous conditions, or situations involving a particular rental property beyond our control, Century 21 Schwartz Property Sales, Inc. reserves the right to cancel any reservation. If Tenant cancels the reservation, owners or their agent will attempt to rebook the premises at the same rate. If owners or their agents are able to rebook the premises, tenant will receive a refund less a $100.00 cancelation fee. If owners and their agent are unable to rebook the premises, Tenant’s rental payment, excluding departure-cleaning charges, will be forfeited as follows: 100% is forfeited if cancelation is within 60 days of the arrival date; 25% is forfeited if cancelation is more than 60 days prior to the arrival date. Please notify us as soon as possible of cancelation and then send a WRITTEN NOTICE OF CANCELATION. Please ask the agent about CSA Travel Protection Insurance.